→ FILL OUT OUR form NOW TO GET A FREE QUOTE! Every business needs to find new ways to improve their CRM lead data, and direct selling strategies. 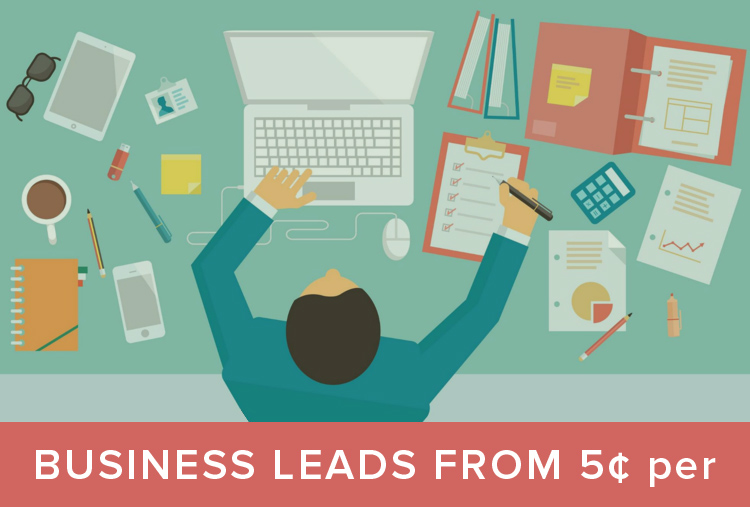 The Lead Boutique has affordable business lead list rates for all budget types! Pay-As-You-Go rates with no monthly commitments. Get U.S, or Canadian business databases from as low as 5 Cents per record. Are you finding it challenging to buy an email, mail or phone database with accurate contact names, phone numbers and email addresses? Do you just want to buy your lists à la carte, without the hassle of monthly commitments? The Lead Boutique will accelerate your sales cycle by providing marketing lead lists at the most competitive rates possible. Increase the reach of your business today with The Lead Boutique's Direct Lead Data. Our objective is to make prospecting and generating leads more affordable and more efficient for all sales professionals, business owners and entrepreneurs, so they can spend more time closing deals and less time searching for leads while prospecting. Our B2B lists provide you with C-level, VP, Director and Manager Level business contacts at any company. We leverage a variety of sources for the most up-to-date email/phone lists, including trade show and event directories, phone directories, and trusted third-party sources. We’re all about transparency and owning up to our data quality. Don't forget to ask about out our 100% database accuracy guarantee! All Direct Lead Data lists are provided in a spreadsheet in .xlsx or, .csv format. The Lead Boutique has the most accurate and cost effective business lists for your sales and marketing needs. Whether emailing, phoning or sending a mailer, we have a database that will accelerate the results of your next lead generation campaign. We at The Lead Boutique are all about transparency and owning up to our data quality. What sets us aside from anyone else in our space? All of our business-to-business databases are furnished with a 100% data guarantee. Any records found to be inaccurate within 30 days will be replaced at no additional charge. Every organization needs to find new ways to improve their database marketing, lead generation and sales strategies. Business database rates as low as 5 Cents per Business-to-Business record! If you require an immediate business marketing list quote, please fill out the form below, or CALL 1-844-404-LEAD and one of our Big Data Brokers get in touch with you soon!